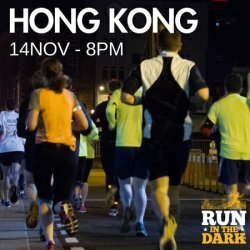 Join Hong Kong to Run in the Dark on 14th November 2018 and support ongoing research to find a cure for paralysis in our lifetime. Your $225 will play a big part in helping the Mark Pollock Trust to reach its $4,700,000 fundraising aim. Hong Kong Route: The Hong Kong Run In The Dark will be on Hong Kong Island’s most famous running routes the Bowen Road. The 4km or 8km route will be a 4km end to end run of flat country like road with stunning views of the Hong Kong skyline up close and elevated. The direction is 4km from Magazine Gap Road end through to Stubbs Road and back for those running 8km. Running this course at night will only make for a more spectacular run as the route is lit up by the Hong Kong skyline. Getting there: Green minibus 9 for the Magazine Gap Road end; buses 6, 15, 66, 76, 19, 41A or 63 — or green minibus 5, 2 or 24M — for the Stubbs Road end; or walk up Wan Chai Gap Road. Whether you are completing the 4km run or 8km run, please aim to arrive at 19.30 (7.30pm) so that organisers can ensure everyone will receive their flashing armband and buff and have a group photo before you go running! It is important that you arrive 15 minutes in advance of the start time (8pm) so that you can receive your flashing arm cuff. About Mark Pollock Trust: At the Mark Pollock Trust they believe they can cure paralysis in our lifetime. To do it, the Mark Pollock Trust is exploring the intersection where humans and technology collide, catalysing collaborations that have never been done before and unlocking $1 billion to make the cure a reality. Since it first began saving sight in the early 1980s, Orbis’ Flying Eye Hospital has pioneered quite a few historic moments – as has Hong Kong itself. 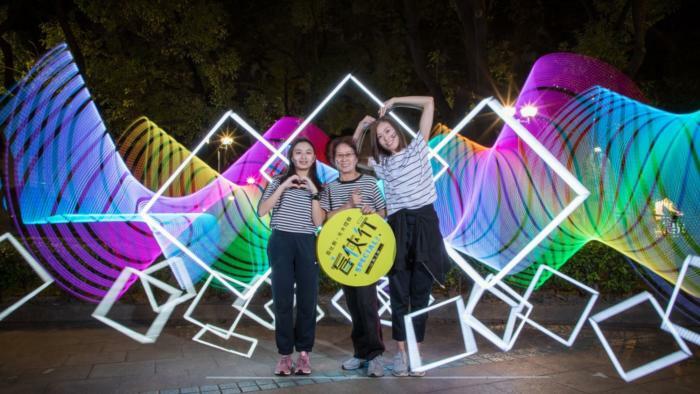 And what better way to celebrate their shared ‘Golden Age’ than by travelling back in time and walking the 20km from Shatin Sports Ground to Tai Po Tai Mei Tuk during Moonwalkers 2018! How fun is Moonwalkers? 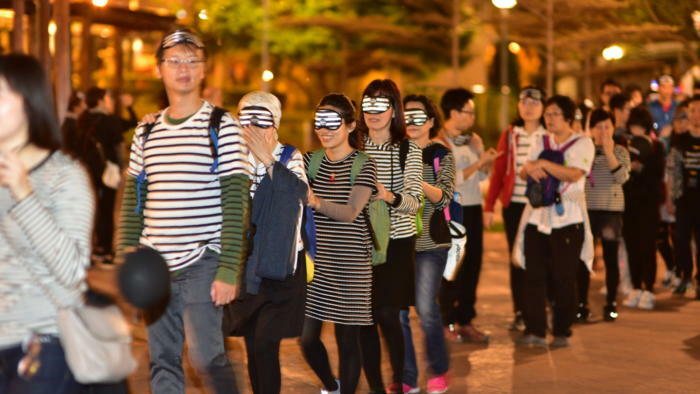 Last year, nearly 5,000 sight-savers donned black and white striped costumes in order to help conquer darkness as they walked! All donations are raised is now enabling Orbis’ sight-saving volunteers to benefit the needlessly blind by sharing the skills with local medical professionals across the developing world! Local store? Hopscotch? Red buckets? Journey to the past as you view scenes and play games from your childhood’s ‘Good Old Days’ while you walk. Don’t forget to fully charge your phone so you can capture those memorable moments at each checkpoint! Discover the difficulties facing the visually impaired in Orbis’ unforgettable blindfold challenges! 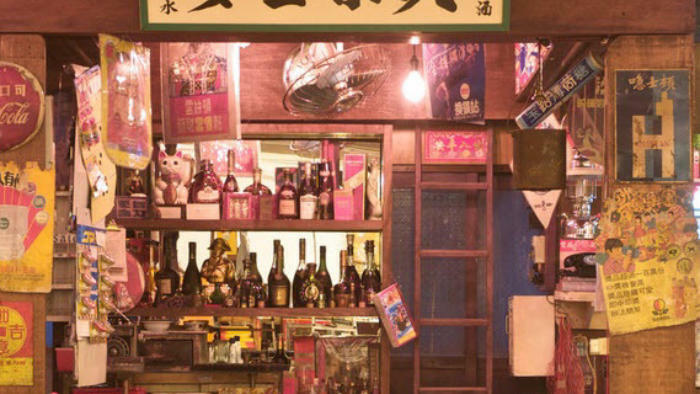 Neon signs have long been a Hong Kong trademark. At Moonwalkers 2018, you won’t even have to go downtown to be bathed in such illuminations’ garish glow! About Orbis: Orbis is the result of a unique and lasting alliance forged between the medical and aviation industries. In the 1970s, leaders of these two industries came together to create the plan that led to the foundation of Orbis. Orbis knew that the high costs of tuition, international travel and accommodations prevented most doctors and nurses in low-income countries from participating in overseas training programs. Even when they could afford to study abroad, their opportunity for direct clinical experience was limited because strict licensing laws often prevented them from performing surgery. The solution was a mobile teaching hospital. With a fully equipped hospital on board an airplane, doctors trained in the latest ophthalmic techniques, including pediatric ophthalmology, could bring their surgical knowledge and skills to doctors in low-income countries through hands-on training and lectures. A grant from USAID and funds from private donors enabled Orbis to successfully convert a DC-8 plane into a fully functional teaching eye hospital. As replacement parts for the original DC-8 plane became more difficult and expensive to obtain, it became clear that a newer, larger aircraft was needed. In 1992, after a major fundraising appeal, Orbis purchased a wide-body DC-10 to replace the DC-8. Within two years, Orbis had converted the plane into an eye surgery hospital. Orbis’ inaugural mission was to Beijing, China. As Orbis grew over the years, Orbis added hospital-based training programs and fellowships to their portfolio to provide additional skills-building opportunities for eye care professionals. 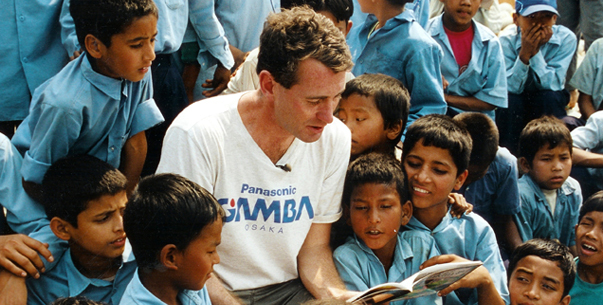 In 1999, to build the capacity of local partners, Orbis created long-term country programs in Bangladesh, China, Ethiopia, India and Vietnam – similar programs are also underway in parts of the Latin America and the Caribbean. 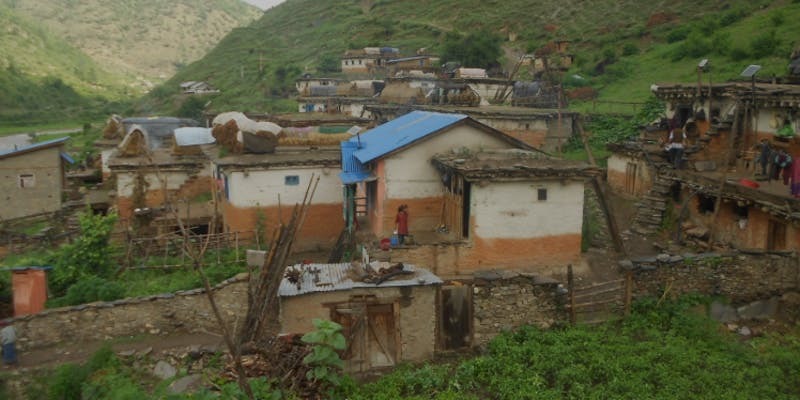 Orbis’ permanent offices in these countries, run by local staff, develop and implement an array of multi-year projects to improve the quality and accessibility of eye care to residents, particularly in rural areas and impoverished urban communities. Many of these programs focus on the treatment and prevention of childhood blindness, cataract, trachoma and corneal disease. To support the continued growth of Room to Read‘s Girls Education Program in Vietnam, Spiga is thrilled to host an inspiring evening of great friends, fantastic food, abundant high-quality libations and an exciting silent and live auction. This event will sell out fast so get your tickets now! The price of the ticket includes champagne on arrival, a three-course sit-down dinner, fantastic wines personally chosen by Amy Powell and John Wood and a signed copy of John’s latest book, Purpose Incorporated: Turning Cause into Your Competitive Advantage, to thank you for your generous support of Room to Read’s work! Room to Read is changing the future for millions of children across the developing world via the lifelong gift of education. But there is SO much more we need to do, and tonight’s event will underwrite at least 200 years of Girl Scholars in Vietnam. Thank you in advance for helping them to achieve their dreams. About Room to Read: Room to Read envisions a world in which all children can pursue a quality education, reach their full potential and contribute to their community and the world. To achieve this goal, Room to Read focuses on two areas where they believe Room to Read can have the greatest impact: literacy and gender equality in education. Room to Read works in collaboration with communities and local governments across Asia and Africa to develop literacy skills and a habit of reading among primary school children, and support girls to complete secondary school with the life skills they’ll need to succeed in school and beyond by building and stocking libraries, building bright ventilated classrooms, publishing books in the local language, training educators and providing one-on-one support to teachers, and supporting girls to stay in school by providing material support—such as school fees, clean uniforms or transportation, in addition to mentoring and life skills training to help girls succeed in the classroom and beyond. Come join Solerico on July 18th for their very first fundraiser and help disadvantaged communities across the world have access to renewable energy. Join Solerico for a fun night of pub quizzing, eating, and fundraising. Solerico will provide prizes for the top 3 teams and will be holding a silent auction. HKD 2000 for a team of 6. Price includes dinner, a drink and the quiz. All proceeds for the evening will go directly to Solerico. To buy your tickets, please follow this link to Eventbrite. About Solerico: Solerico’s mission, with your help, is to promote and invest in green technologies, bridging the gap between communities with energy needs and the governments, corporations, communities, and individuals who want to cut out fossil fuels and make a change in the world… For more information on what Solerico does, click here. Earthwatch is an international nonprofit organization that connects citizens with scientists to improve the health and sustainability of the planet. For the last 45 years, Earthwatch has empowered nearly 100,000 volunteers to join leading scientists on field research expeditions that tackle critical environmental challenges around the globe—from climate change to ocean health, human-wildlife conflict, and more. Their mission is to engage people worldwide in scientific field research and education to promote the understanding and action necessary for a sustainable environment. Earthwatch provides citizens with the opportunity to work alongside leading scientists to combat some of the planet’s most pressing environmental issues. With Earthwatch, you will experience hands-on science in some of the most astounding locations in the world. You will meet a community of like-minded travelers and return home with stories filled with adventure. Anyone can join an expedition—no experience necessary! Volunteer opportunities cover a variety of subjects including archaeology & culture, climate change, ocean health, and wildlife & ecosystems. All training will be provided upon your arrival. Earthwatch offers both adult expeditions and teen expeditions for 15- to 17-year-olds. Teens are also welcome on most of Earthwatch’s adult expeditions if they are accompanied by a parent or guardian. 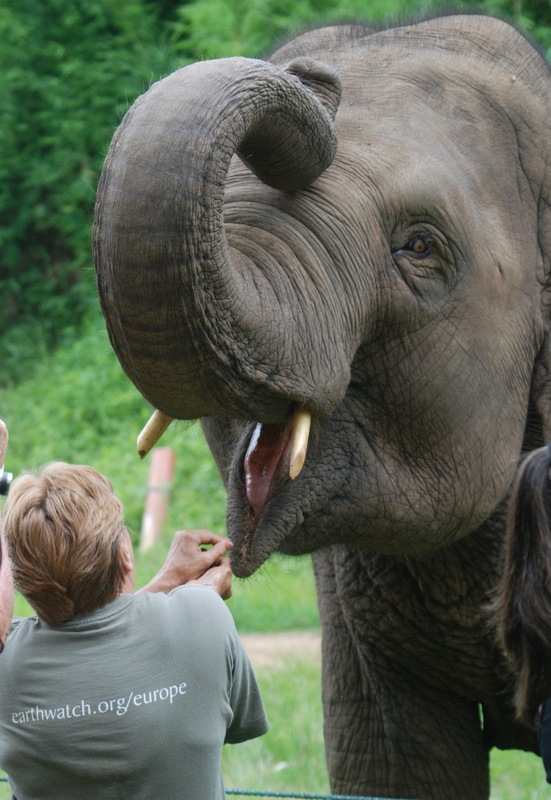 Volunteers join Earthwatch from all over the world. To select an expedition and to sign up, please visit their website find an expedition you are interested in, and read the expedition briefing (you’ll find a link to the briefing at the top of the expedition website). That will give you all of the information about the expedition. When you are ready to book, simply book online. Daily consumption and pollution by human activities causes water scarcity in the world, and the problem is worsening. “Water Footprint” is thus an indicator of water use that refers to the total volume of freshwater directly and indirectly used to produce goods and services. Understanding this concept allows us be aware of the impact of our daily life to water resources, in order to make wise decision on sustainable way of living, and conserve the precious water for the next generation. “Hong Kong Water Race” has is organized by Wofoo Social Enterprises, co-organized by Water Supplies Department and The Open University of Hong Kong, and sponsored by The Hongkong and Shanghai Banking Corporation Limited. Through the means of city orienteering, this project strives to promote the concept of water footprint to the participants and raise public awareness about the water crisis. Participants will be requested to visit scenic spots and public amenities around the designated area, and complete tasks related to “water” at those spots. The first “Hong Kong Water Race” was held in Tin Shui Wai in 2013, and Sha Tin riverside in 2014. The Race has been gaining support from various social sectors, and a mini carnival was also included starting 2015. The 2015 Race was held in Kai Tak, and Central Harbourfront in 2016, with increasing number of orienteering race and carnival participants every year. The 2017 Race was held in Sha Tin Racecourse with record total of 4,000 people participating. * Before enrollment, please kindly read Race Details and Rules and Regulations carefully. * Participants should be in good health. Please consult your doctor before enrollment if one has any illness such as heart disease, respiratory system disease (e.g. asthma) or bone injury, etc. For participant aged over 70 years old, please kindly provide certificate of consultation. * The Organizer reserves the rights to disqualify any participant from the race who provide incorrect personal information in the enrollment. About Woofoo Social Enterprises: Woofoo Social Enterprises has been developing together with Hong Kong and has been working side by side with all walks of life. Beginning in 1997, Woofoo Charitable Foundation and Woofoo Social Enterprise have formed a collaborative platform help society develop a community spirit. They aim to gather people from all walks of life to serve the Hong Kong community and build a better Hong Kong together. 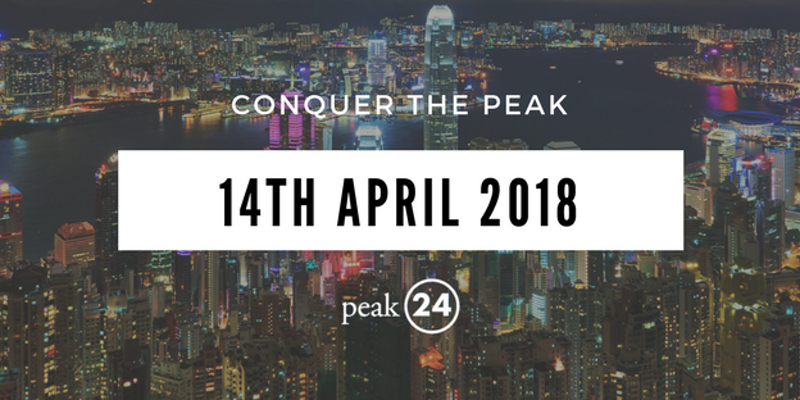 Hong Kong’s most scenic Corporate Relay Race is back to take over the Peak once more on Saturday 14th April 2018. Peak24 is one of Hong Kong’s fastest growing charity races, expanding 100% each year since its first race in 2015. In 2018, the fourth edition is bound to be even bigger and better! This race set-up is unique and all about teamwork. Each company team is made up of 5 runners whom together run 24 miles around the Peak, taking on the competition to clock the fastest combined time. All runners receive race packs, drinks, on-site services and entertainment. Furthermore, many more additional services and prizes are unlockable to teams that excel at fundraising to stop modern day slavery. Do you think you can conquer the Peak? Sign up your team NOW! Pay individually, then link up with your team. About 24 Hour Race: The 24 Hour Race is a global, student-led abolitionist movement. They run 24 hours once a year to advocate for the millions of men, women and children locked in the chains of slavery today. 24 Hour Race raises millions of dollars to spearhead the fight against slavery, working with The Exodus Road, creating advocacy campaigns and spreading the 24 Hour Race movement globally. 24 Hour Race will not stop until every person is freed from slavery.